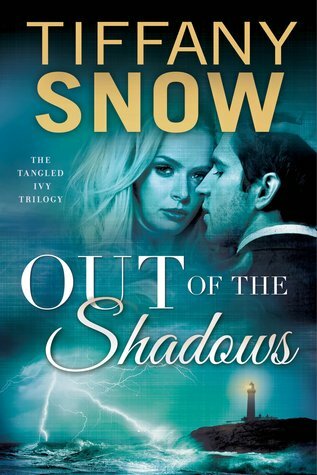 OUT OF THE SHADOWS is the third book in the Tangled Ivy trilogy and I have to give Ms.Snow kudos. I didn't have the opportunity to read the first two books but I never felt lost in the story. This book stands beautifully on it's own which the hallmark of a good book. Both Ivy and Devon are incredibly strong, well developed characters that mesh together well. I really enjoyed the way that one would step in to bolster the other almost without thinking. Even though they come from such different backgrounds, they are a well matched couple. This synchronicity between the two of them really cause the book to flow no matter what they face. Now before you think that this book is all about love, let me tell you that there is quite a bit of tension what with running from Devon's former employer, Vega, and Ivy's illness. They do have a bit of help though from friends and this pressure cooker forces them learn to really trust each other. I do recommend OUT OF THE SHADOWS to any of my readers who enjoy romantic suspense. This book is a winner and I am going to see about finding the first two book in this series.